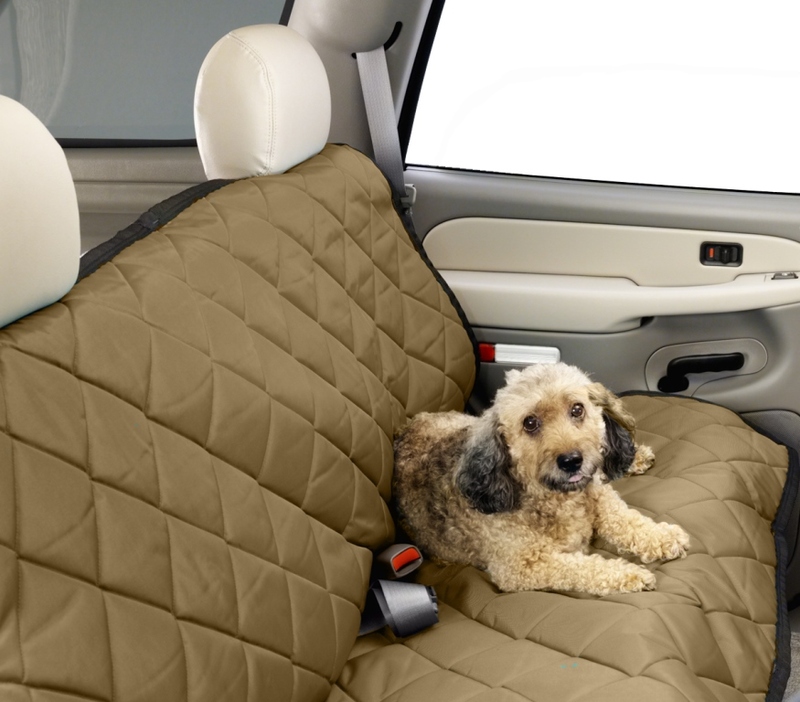 Heavy-duty quilted material protects seats or cargo area and provides a comfortable pad for pets. Pet Pads are constructed with a rip-stop nylon backing, quilted to heavy-duty denier waterproof, PVC backed woven polyester. Sandwiched in between is soft, high-loft, insulating padding. An abuse resistant 2 inch black web binding is double needle sewn around the Pet Pad. To clean, just hose off & hang to dry. 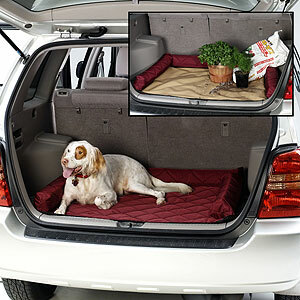 Protect your interior with a Covercraft cargo area pet pad. If you're a pet lover you want your pet to be comfortable during trips and you also want to protect the cargo area of your vehicle. Covercraft cargo area pet pads are the best solution for both situations. 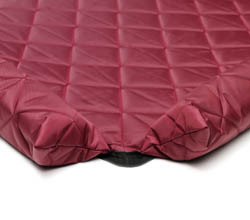 The pet pad is quilted on one side for your pets comfort & soil resistant heavy duty vinyl on the opposite side. So if your pet is muddy or wet, you simply flip the cargo area pet pad over, adjust the side bolsters and your interior carpet is protected. The bolsters fold in or out to adjust to the size of the area you need covered. 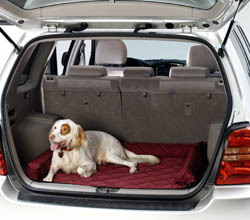 The cargo area pet pad is available in 8 colors to match or compliment your interior color. When combined with Covercraft's pet seat protectors, your pet can travel the interior without doing any damage. 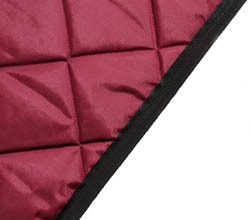 Heavy duty quilted material protects seats and provides a comfortable pad for pets. 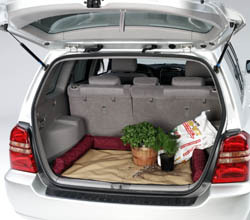 Universal fit for front or rear seats, pet pads are constructed from rip stop nylon backing, quilted to heavy denier waterproof, PVC backed polyester, sandwiched in between is soft, high loft batting. The entire pet pad is bound with 2 inches black webbing that is double stitched to withstand lots of abuse. Pet Pads are easy to clean, just hose it off and hang to dry. 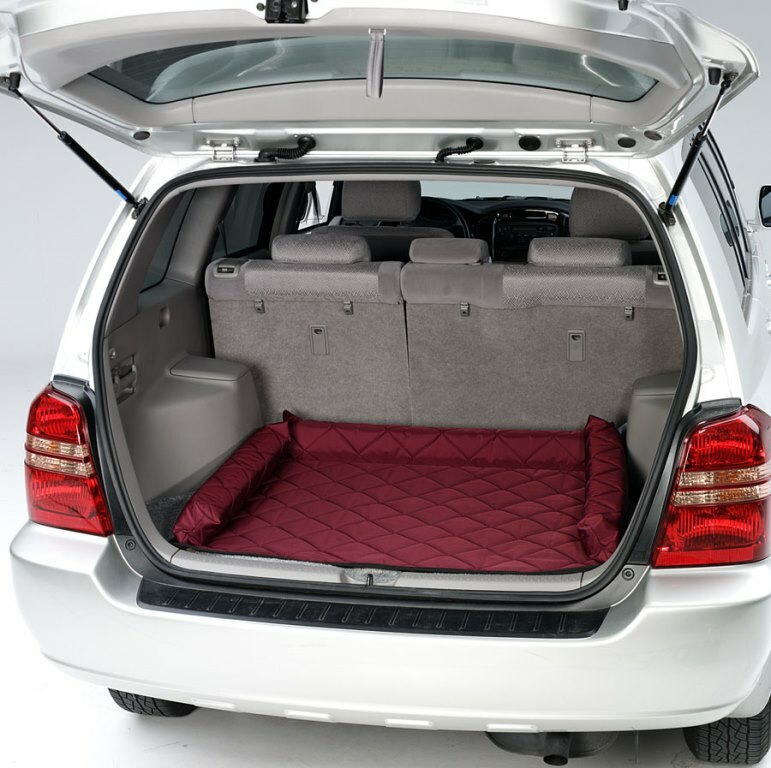 Cargo area pet pads fit the rear of any SUV or Wagon, 32" x 40" size features adjustable padded bolsters that roll in or out to accommodate different size cargo areas. 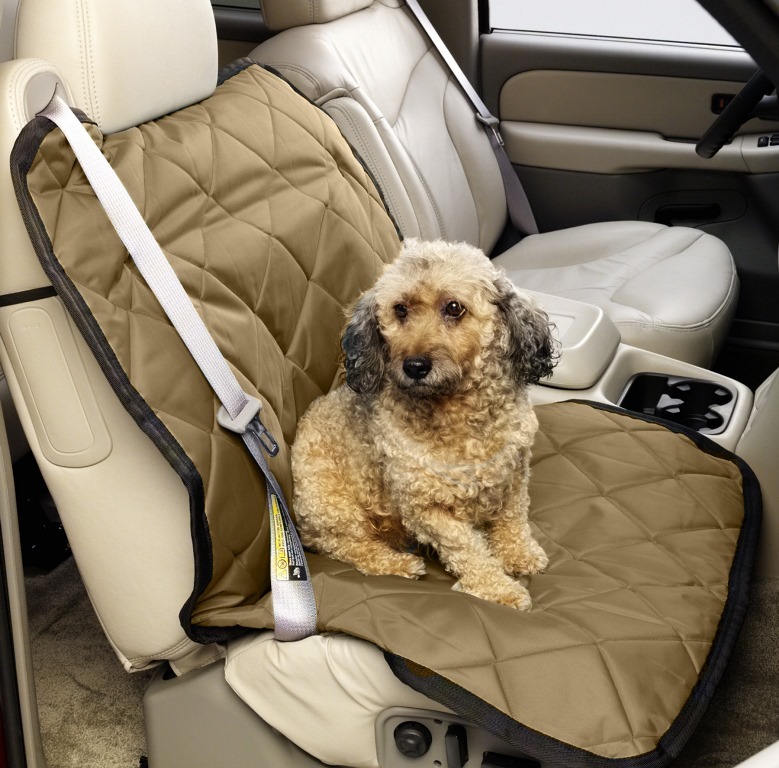 Heavy duty quilted material protects seats or cargo area and provides a comfortable pad for pets.